Hamish Smith has the latest round of bar openings. Oslo, Mexico City, Manchester and London all feature. 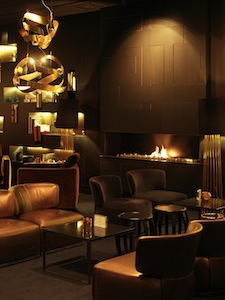 The Thief Bar (below) opens in Oslo this month, looking to emulate the great hotel bars of London and New York. Based in The Thief Hotel, the new bar is six months in the making – a project overseen by Chris Grøtvedt, who has enlisted Slavomir Kytka as head bartender, who had been working at Scarfes Bar in London. The Thief takes its name from the Tjuvholmen (Thief Islet) in Oslo – once known for poverty, thievery and prostitution. Grøtvedt tells DI the menu at the new bar draws on this past and is split into four sections. Masterpieces are the bar’s signature creations, Counterfeits are classical or contemporary cocktails from bars around the world, Lost & Found are old treasured or forgotten cocktails, while Innocent Until Proven Guilty are the bar’s non-alcoholic selection. The area is now a hub of entertainment, culture and corporate businesses, so the clientele will be a mix of suited types, tourists and industry people working in Oslo who want to sample an international hotel bar atmosphere. Music at the Thief includes unplugged showcases of up-and-coming artists, but a piano and DJ booth are also on hand for livelier sessions. London’s oldest whisky shop, founded by the Milroy brothers, is being relaunched this month by Martyn Simpson (above) as a whisky shop with two bars in the heart of Soho. Hidden in the basement is The Vault, a 55-seat cocktail bar serving up seasonal cocktails made with home-infused spirits and the gamut of classics. Craft beers, fine wine and cheese and meat boards are also among the offering. Private parties can book the Barrel Room. Shaped as it is named, the space seats 12 people. Upstairs from the shop is the 12-seater whisky venue Milroy’s Bar. 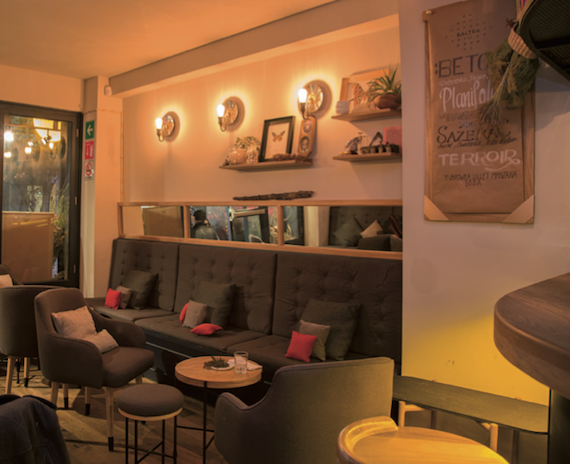 Serving more than 250 whiskies, this is a more intimate space to enjoy whisky. Those who buy a £200+ bottle also gain access the their own whisky locker, complete with key. The Smithfield Social is the latest addition to the burgeoning Manchester bar scene. The bar-within -a-bar is tucked inside Bluu, a larger bar restaurant in the Northern Quarter that has been relaunched with a new interior. 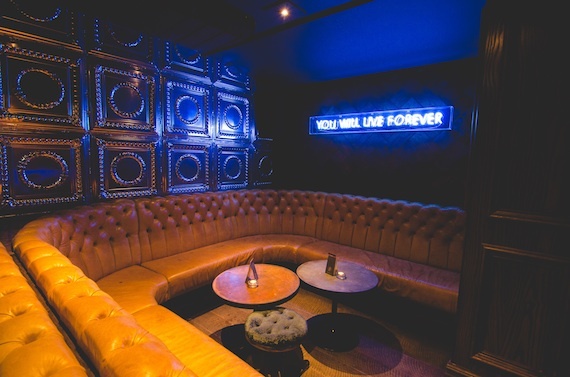 Smithfield Social is signposted by a neon S.
Once descended to this hidden bar, you’ll find a 60-seat space decked out in ’20s style, with metal-embossed walls and beaten leather seats. 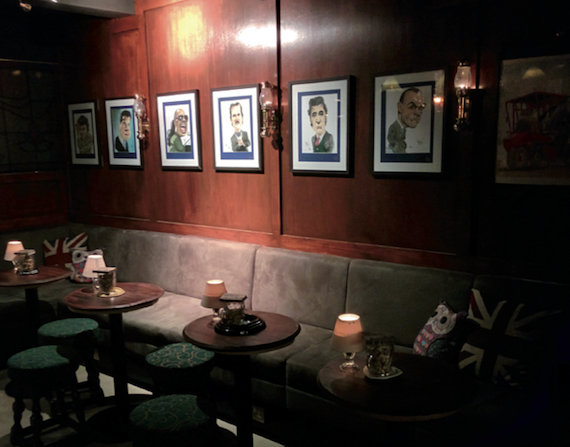 Bartender Tony Lovatt is making the drinks – and all 10 have a smokey influence. Take The Gentleman’s Tipple, which combines Bénédictine liqueur infused with an earthy bourbon smoke, Gentleman Jack whiskey, Courvoisier cognac and bitters. The Queen Mary reinvents the Bloody Mary with black pudding purée, homemade horseradish and a fresh fennel pork scratching. Straight-up glasses of Japanese whisky Yamazaki are available for the uncomplicated occasion. Baltra in Mexico City is named after the Galapagos island that was home to a Charles Darwin Research Station. Co-owner José Luis León says Baltra is an “evolution” of sister bar Limantour and the country’s cocktail scene. The brainchild of Andy Mil, Elliot Ball and Olly Brading, Cocktail Trading Company in London’s Oxford Circus offers “honestly-priced yet highly innovative” cocktails in the heart of London. Ethically operated, it gives 25% of profits to staff.